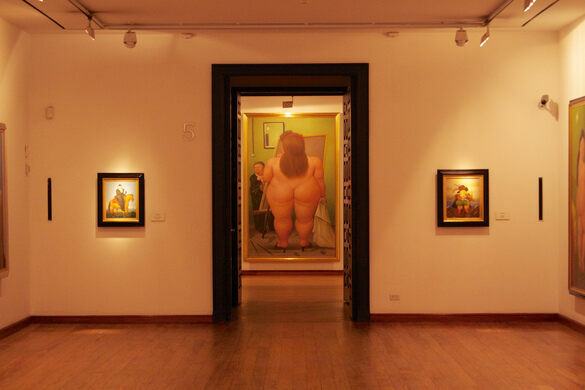 A voluptuous ‘Mona Lisa,’ corpulent dancers, juicy still lifes, and buxom nudes hang in Museo Botero (the Botero Museum), a popular museum in the Colombian capital of Bogotá. It was established in 2000 when the artist donated over 120 of his own artworks and 85 pieces from his personal collection to the Banco de la República, which operates the museum out of a colonial manor house in the city’s historic neighborhood of La Candelaria. Fernando Botero’s full-bodied aesthetic can be seen in the way of fine artworks and large public sculptures in major cities and institutions around the world. His penchant for curvaceous subjects—men, women, children, animals, even bowls of fruit—is beloved in his native Colombia and beyond; but since the 1970s, Botero has also amassed his own collection of historic masterpieces by seminal artists including the French-Russian multidisciplinary modernist Marc Chagall, legendary Spanish Surrealist Salvador Dalí, and Claude Monet, leader of the French Impressionist movement. 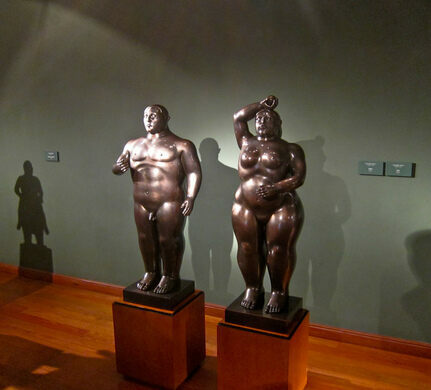 More than 120 paintings, sculptures, and sketches by Botero himself are exhibited in the museum’s west wing. 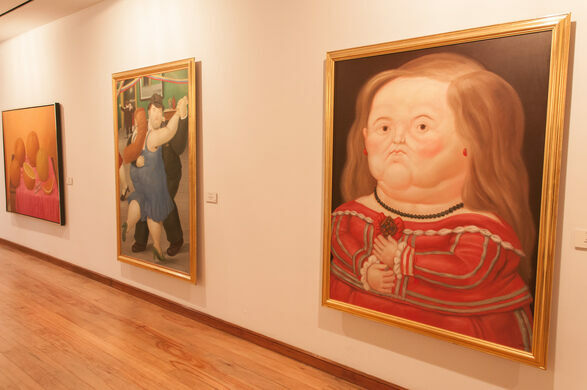 The collection illustrates Botero’s visual lexicon referred to as “Boterismo,” a style characterized by bloated subjects that reference and rift on art history, yet also belong to the artist’s entirely unique personal aesthetic. Approximately 1,000 people visit Museo Botero per day to peruse the collection, join a tour, participate in a workshop, or attend a lecture. 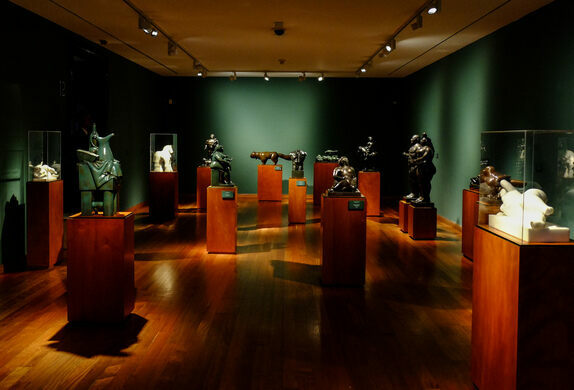 The museum’s collection was co-curated by Botero himself and donated on the condition that all artworks remain permanently in the space. 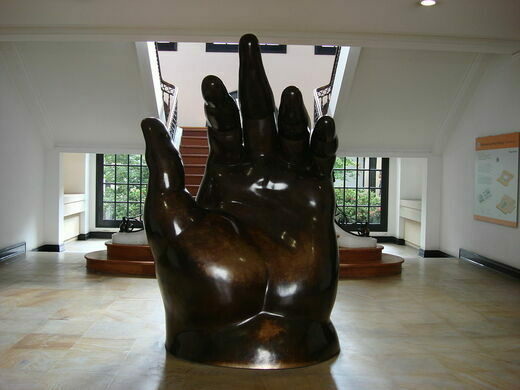 Museo Botero is open Wednesday through Monday, 9am to 7pm every day except for Sunday, when it closes at 5pm. The museum is closed on Tuesdays. Audio guides are available in Spanish, English and French.